This basic temperature monitoring system monitors 5 temperatures, including a single engine exhaust using Maretron’s 3.5” color display, a Temperature Monitor (TMP100) and five Maretron temperature transducers. 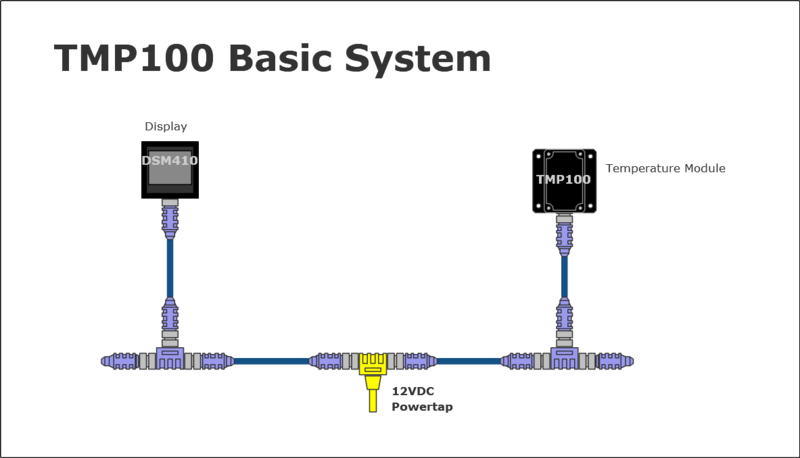 Note that the first two channels of the TMP100 match to thermocouple transducers which makes them ideal for exhaust temperature monitoring, and the remaining four channels match to thermistor transducers. The following screenshots (click to enlarge) are examples of how the temperatures will be displayed on the DSM410.